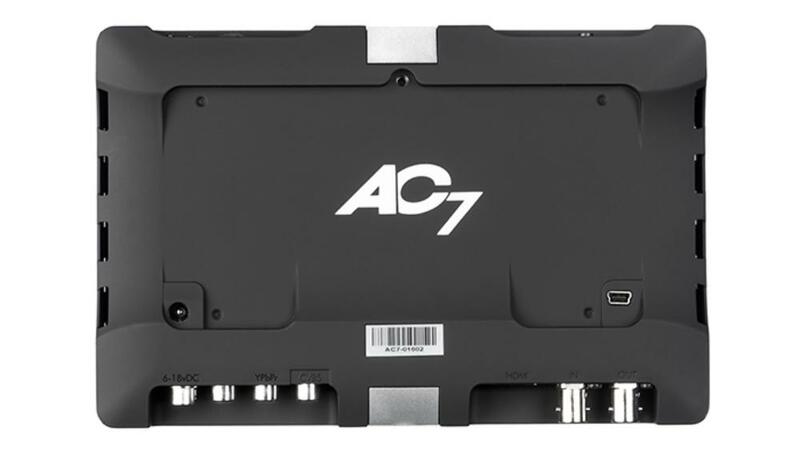 The SmallHD AC7 OLED HD-SDI Field Monitor is an external monitor for cinema cameras and video-capable DSLRs for footage viewing while on set. 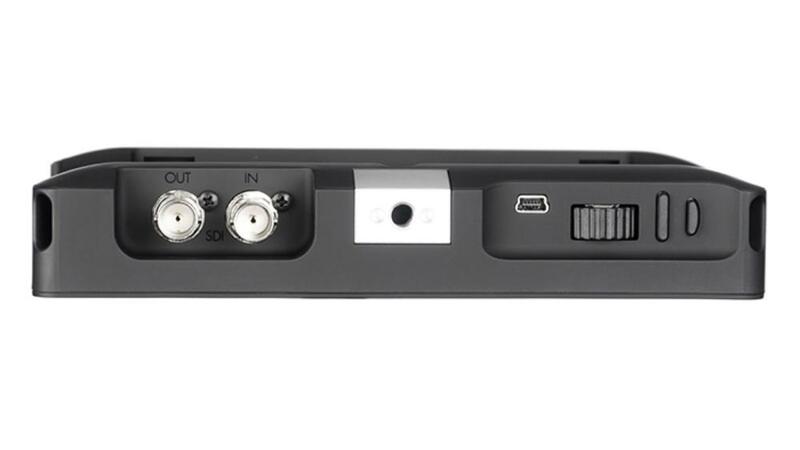 All standard HD inputs are included on this monitor: HDMI, component, and HD/SDI. The included Canon battery bracket holds (2) LP-E6N batteries, which can be hot-swapped for endless power. It will run for approximately 4 hours straight on (2) LP-E6N batteries. Renting extra batteries is recommended for all-day shoots. You can also power your monitor via a detachable AC power cable. This monitor comes equipped with DSLR scale presets, which enable the input signal from a variety of DSLRS cameras to fill the screen appropriately. It also offers very accurate in-monitor focus assist filters. Framing Guides help you line up your shot and because OLED displays are not backlit like LEDs, blacks are truer and color reproduction overall is wider in range. 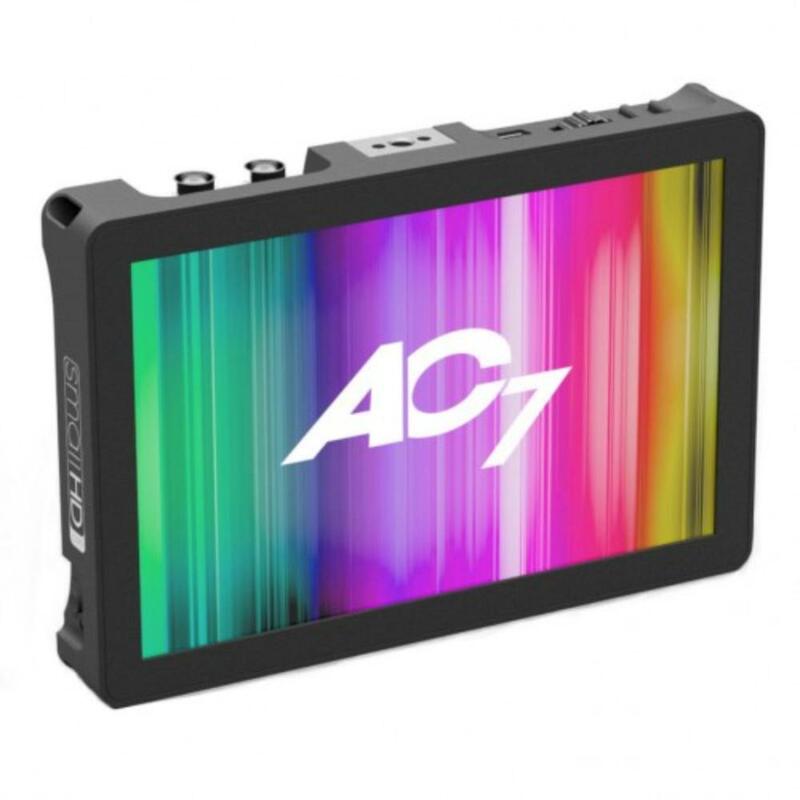 This monitor is ideal for on-location shooting where AC power is not always possible. • The power adapter that comes with this field monitor is for North American-style plugs. The universal battery adapter plate is not included. • Please do not remove the included flexible screen protector. Damage to the screen will result in a fee. • This monitor comes with (2) LP-E6N batteries but it is also compatible with LP-E6 batteries. • Dimensions: 7.9 x 5.1 x 0.9"